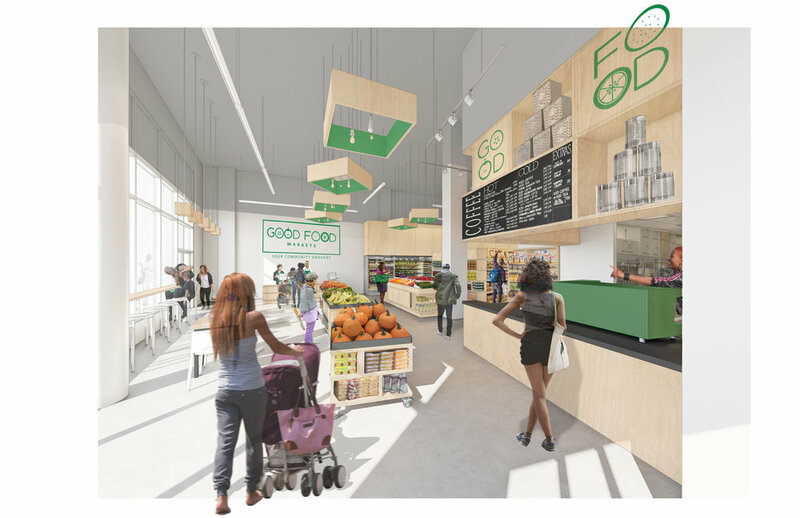 Oasis Community Partners/Good Food Markets was founded with the mission to improve food access and community health in under-served urban food deserts. OCP/GFM strives to improve the health of our community by working with a diverse group of individuals and organizations behind the shared goals of food sovereignty and security. In 2017 Inscape Publico joined the OCP/GFM team as architects for their new flagship store to be located east of the river in the Bellevue neighborhood of Washington, DC. 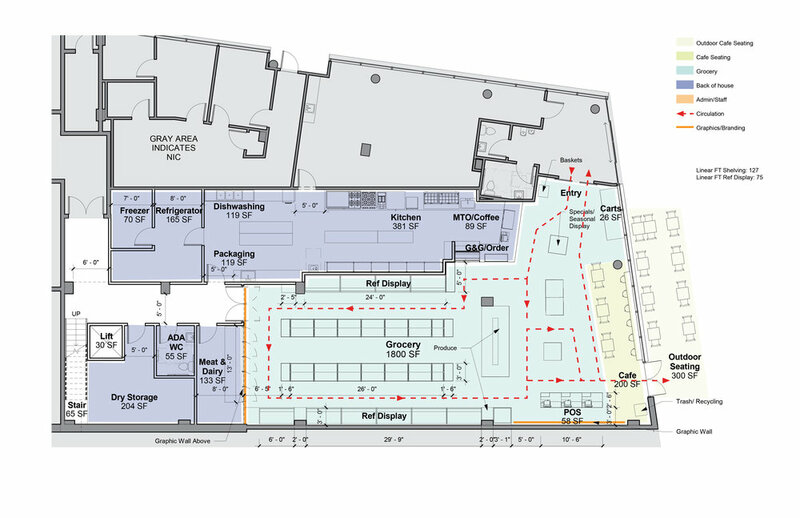 The store will provide the surrounding community with fresh quality produce, essential grocery items, and healthy grab and go meals, along with a community education program focused on diet, health, and nutrition.